You are here: Home / Gut Health / Is gluten sensitivity real? 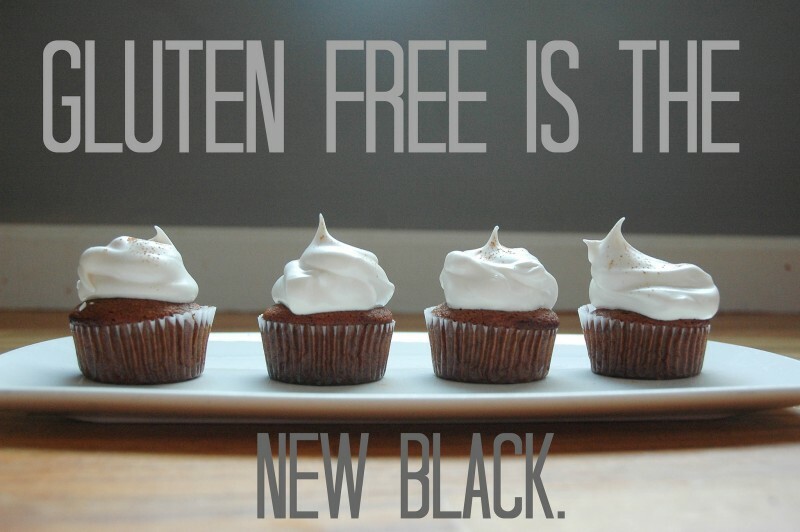 Going ‘gluten free’ is one of the hottest dietary trends at the moment. Now a new study has cast further doubt into if self-diagnosed ‘gluten sensitivity’ is related to gluten at all. Gluten-free diets are the cornerstone of managing the very real and serious autoimmune condition of coeliac disease. Putting coeliac disease aside, a person could be forgiven for thinking that we are now faced with an epidemic of self-diagnosed ‘gluten intolerance’ judging by the popularity of gluten-free diets. The question of if non-coeliac gluten sensitivity (NCGS) is a real condition or not is a vexed one. Only a small amount of well-designed research has been conducted so far, with mixed results in reproducing symptoms of gluten intolerance in controlled dietary trials. Leading researchers are now proposing that self-reported gluten sensitivity may just be a marker for dietary changes that reduce the amount of other food components that can cause gastrointestinal problems. Called FODMAPs, these are different types of carbohydrates such as lactose, fructose, fructans and sugar alcohols that can cause irritable bowel syndrome (IBS) like symptoms in some people. Wheat contains FODMAPs, but so too do many other foods such as milk, pears, plums, onions, garlic, and legumes. Adding another very small piece to the incomplete puzzle, a just published randomised-controlled trial looked further into NCGS. First thing to note is that NCGS is not a diagnosable condition like coeliac disease is. Diagnosis relies on self-reported symptoms such as abdominal pain, bloating, nausea, and fatigue experienced following the consumption of gluten-contain foods. But that does not prove that it is gluten causing the problems as there is more to cereal foods than just gluten. In the latest study, 35 people who were clinically diagnosed as likely having NCGS and were already following a strict gluten-free diet were given a sachet of flour simply labelled as A or B. They were then asked to sprinkle it on soup or pasta for 10 days. One sachet had gluten in it, the other didn’t. After a two week break, each person commenced using the other sachet of flour. Just one-third (12) of the participants managed to correctly identify which flour had gluten in it by the presence of symptoms following its ingestion. Half of those that thought the gluten-free flour had gluten in it said they experienced gastrointestinal symptoms after eating it, but not when they ate the flour that actually contained gluten. What the results show is that while the sample size was small and the duration short, it was unlikely that it was gluten causing problems in most people. ‘Random chance’ seemed to have a large role to play. That doesn’t mean the symptoms experienced were not real, but IBS-like symptoms follow varying patterns of intensity over time so the study could have just been detecting that. It could also be that it was the cereal flour in general that was causing the problems in some people, unrelated to gluten. So that still leaves FODMAPs as a potential culprit. The research into NCGS is beginning to mount a case that for many people who are following self-styled gluten-free diets for health reasons, gluten avoidance may have very little to do with any symptom improvements seen. John, perhaps you could enlighten us as to where one can buy GM flour? Some of the posts I am reading here are ringing that same bell about gluten intolerance and how they have to be real careful when eating out. It is no coincidence that 50 years ago everyone ate bread and no one conplained about gut pain.Modern day bread has a chemical called potassium bromate added to make it rise faster in order to get it on the shelf faster. Add to the mix of dough a hefty dose of pesticides, herbicides, chlorine gas and bleach and you recieve an instant stomach ache. BOTTOM LINE, These chemicals kill good gut bacteria and make you hurt. A word of advice before you throw away an awesome Insulin regulating vitamin packed weight loss food, try purchasing or making your REAL BREAD from an organic non GMO grain and of course leaving out the good bacteria killing processed sugars and hydrogenated oils. Add some raw grassfed butter to it in order to give your gut some wonderful bacteria, not to mention the most awesome god given taste on this planet. Tim just further to this issue, it’d be good to hear your position/perspective on whether or not you think NCGS actually exists as somewhat of a rare, yet still possible outlier of a condition? I ask more-so here from your practicing perspective not just something a piece of literature suggests. Nice post surrounding all the confusion with gluten Tim, especially as it relates to differences in bonafide coeliac disease versus gluten sensitivity. My partner has coeliac disease and given the dietary trend of it becoming very popular recently it makes it hard at times when we dine out together as some people will roll their eyes when taking orders when she asks for no gluten or mentioned she can’t have it. Sadly, it’s hard to explain to many about how this is a very real and pathological condition because the past 5-10 years of gluten free diets have somewhat skewed the mass mindset. On the up side, it’s led to thinks like generic lookalike Tim Tams and other treats that she can enjoy from time to time that she’s never really been able to. The article is interesting Tim. I have at times very debilitating IBS and follow the FODMAP program – this improves symptoms considerably. When out I order gluten free to avoid wheat but some products contain soy, inulin or are sweetened with ‘natural’ sweetener which invariably is fructose.